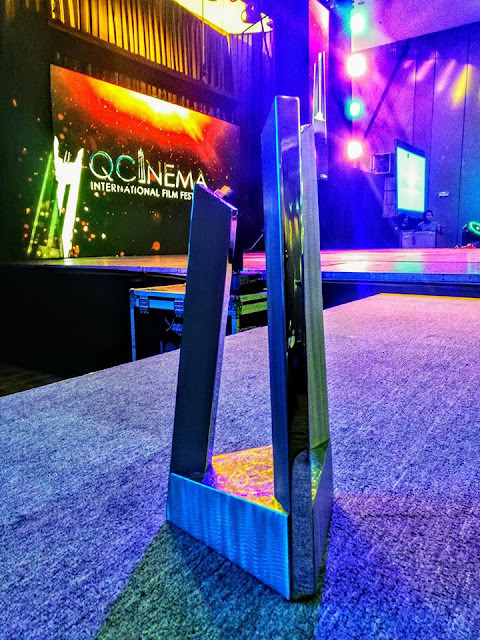 The QCinema International Film Festival 2017 announced its winners at the awards night held on October 26, 2017 (Thursday) at Novotel Hotel in Cubao, Quezon City. Balangiga: Howling Wilderness won the Best Film in the Circle Competition Category, while its director Khavn dela Cruz won Best Director. The NETPAC Jury Prize Award (Circle Competition) went to Dapol Tan Payawar ng Tayug 1931 (The Ashes and Ghost of Tayug 1931). Designed by visual artist and sculptor Reg Yuson, the Pylon Trophy is given to all the winners. Inspired by the QC Memorial Circle monument being the most prominent structure in the city, the Pylon's three pillars represent Luzon, Visayas, and Mindanao. The rays of light projected onto the skies reminisces the signal in a movie premiere back in the day it signifies QCinema upholding the film tradition not only in the Philippines but in the world. On its 5th year, the festival closes this Saturday, October 28.